How Far is Mallikharjuna Krinss? Krinss is a symbol of modernity. 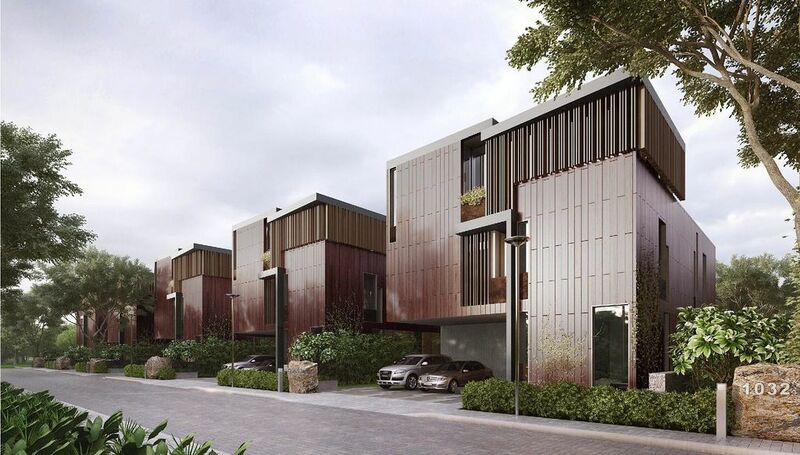 The gated community is a contemporary home with design in evolution, blending with nature, constantly evolving in an unending journey to perfection. The sinuous topography is preserved with minimal re-grading. The architecture unifies with the land as an organic entity preserving the gentle rolling landscape. The hillocks and boulders at Krinss give your home a distinct flavor. The large villas are placed to the centre and smaller villas at the periphery. 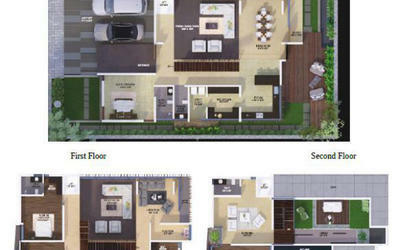 The individual designer villas are designed to provide maximum privacy. The houses are laid only on one side of the road to give you private entry feel with no overlooking into the opposite houses. The Krinss at Puppalaguda comes as a breath of fresh air to a global generation. Located next to Future Kids School and abutting Outer Ring Road, the villa community will be a pioneering habitat in an ever-growing infrastructure built around ORR. Connected by highways, you can reach Wipro X Roads, swanky malls, shopping streets in Gachibowli, Kondapur and Madhapur driving in top gear. Tata Power solar system, Racold or equivalent. Our Passion for innovative design and personalized services combined with a strong background in construction led Navanaami projects into the hospitality industry with their unique styled projects. The Platina one of the under-construction project by the builder built with 2BHK’s in Thanisandra, Hebbal, Bangalore. The builder is also planning to progressively diversify into Professional Property Management Services that meet and exceed the expectations of all our clients. The builder has been actively developing projects in Hyderabad which is also a high realty happening area. Willow Greens one of the prestigious landmark of the builder, planned perfectly from an eye of a luxury home seeker built with 3BHK’s in Puppalaguda, Hyderabad. The Residency one of the prestigious residential projects of the builder in Hyderabad built with 2 BHK apartments in Nanakramguda. The developer understand what a home means to the people and thereby leave no stone unturned to make sure that their clients are satisfied and happy with the end results. 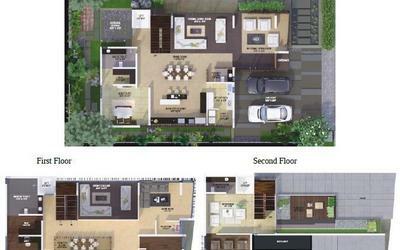 Comprising of a team of experts, the builder continues to achieve new heights of success in every endeavor undertaken. To provide our clients the very best service in all aspects of residential real estate whether we are handling their sale or purchase personally or connecting them to one of our team of associated property experts for a service. We believe in customers for life and being there for our clients throughout our journey in business and in life to ensure when it comes to residential property they receive the very best this industry has to offer. Our aim is to be at the forefront of property marketing and to provide tailored innovative solutions that fit our client’s individual property and situation to ensure the best possible outcome is achieved. Navanaami believes in the phrase ‘Home is where the heart is’. We not only build homes, we build trust. Our clientele benefits through the intellectual horsepower, our leadership offers, which translates to optimum return on investment. Contemporary design that reflects our aesthetical approach to deliver current clientele requirements in property development. At the center of these, remains our determination to exceed expectations while ensuring impeccable styled homes that compliment your lifestyle. The builder employs the latest advances in smart home technology providing security and offering home owners facilities that cater to a healthy lifestyle.